This Time is a vibrant and astounding folk record, and like Rocky Horror’s Time Warp dance, it takes a jump to the left, then a step to the right, and with a bit of a mind flip, the youthful passion and acoustic beauty of 1969 (pre Altamont) spins, once again, with the determined belief in confessional love, earnest harmonies, strong innocence, and with a determined guitar strum that could, just perhaps, change the world. Whew! This is a nice modern folk album. Sound of the Sirens is a folk duo, Abbe Martin and Hannah Wood, from Exeter England, and their harmonies are from the Rings of Saturn, and like those icy heavenly particles, their voices tumble and orbit one another in some weird vocal dance that turns gravity into a work of art. My friend, Kilda Defnut, hears the echo of Simon and Garfunkel. Sure. 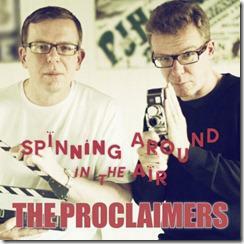 I hear the much more modern Thea Gilmore or the pulsing acoustic drive of Scotland’s Proclaimers. 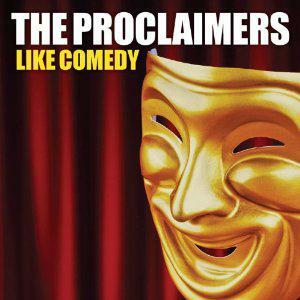 Well, sure (again), but it’s all good, in a folky sort of way. “Awakening” is brisk and determined with urgent acoustic life. And “Believe” soars with more pulsing harmonies. This is the music of effervescent youth, a youth that begs for authenticity. “Another Day” is picked guitar folk that asserts “You have to love yourself.” Oh, it’s a bit didactic, but it’s also very true. Such lovely and melodic optimism: Two voices twirl in weird unity; the universe sings in that same harmony; this music comforts the cosmos. You know, speaking of warped time, years ago in some Shakespeare class, I watched a video of Sir Lawrence Olivier read the “To be or not to be” soliloquy from Hamlet. He is introspective and pensively quiet. As the words dictate. But then I watched Richard Burton spout the very same words. He was brash and bold. As the words also dictate. And some equally warped time ago, I reviewed a record by Black Sea Dahu called White Creatures, which had a lovely ancient Mediterranean vibe. The music coaxed sailors to the shore with an amorphous and sultry sound, as the music of mythology should be sung. And Sound of the Sirens, by the gist of their very name, welcome those sailors; but their song, just like Richard Burton’s Hamlet, is brash and bold, which is the way the music of mythology should also be sung. Just listen to “Another Day,” “Every Time,” “The Order,” “Awake at Night,” and “Keeping Us Alive.” These songs are melodic and soft but never lose the urgency of the album’s grip. And the vocals continue to jumble in amazed harmony. Several songs infuse a piano and strings into the acoustic mix. “Troubles,” “Through the Night,” and “All We Need” extend the drama of the music. The Wilson sisters and their band Heart (nothing wrong with that!) echo in the grooves of the great songs “The Yellow Road” and the thumping drama of “All the Webs.” You know, despite the deep passion, the seed of great commercial appeal is waiting to ripen. This is authentic folk music that is just a pleasure to hear. And, thankfully, there are open ears, once again, to honest and sincere music. But be warned: This music seldom strays from the two guitars and duel voiced template, but the varied tempos, great tunes, and amazing harmonies pass the finish line, with many spins to spare, with flying and very impassioned grooves. And that’s the end game here: This is, quite simply, vital folk music which begs for mass appeal. 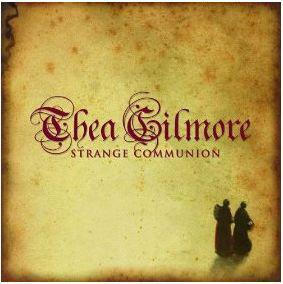 It’s glorious harmonies; it’s pulsing acoustic guitar rhythm; it’s Exeter Cathedral music; it’s Richard Burton being bold and brash in a Hamlet soliloquy; and ultimately, it’s just a pretty great modern folk album that takes a time warp dance step back into a time when the clarity of tough guitar strums, voices conjuring the rings of Saturn, a youth lasting forever, and acoustically wonderful tunes, for some odd and unexplained reason, really managed to matter.